After my life-threatening illness, I wondered “what if” we were all given second chances. What would we do? And especially, what would happen to a heroine if she were given another chance to find her true love? 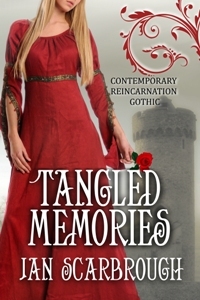 In Tangled Memories, there’s a supernatural element that makes for a happy ending. I wrote Tangled Memories, then called Window of My Heart, and entered it in the Romance Writers of America’s Golden Heart contest. It failed miserably. Then one of my fellow Kentucky Romance Writers graciously gave me a lesson on plotting. I rewrote the book and entered Window of My Heart again. It was a finalist! That was in 1994. When the book didn’t sell, I contracted with a new “ebook” company called Starlight Writer Publications. This was before ebook readers. 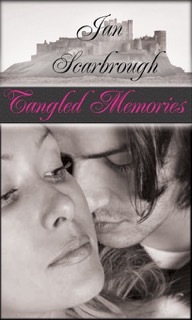 Needless-to-say, I didn’t have much success with the book, now called Tangled Memories. Then a new small publisher started with an emphasis on paranormal romance. I submitted my manuscript, and ImaJinn Books accepted. I was so excited to have a paperback book in my hands! another ebook publisher called Wild Rose Press. It didn’t get much attention there. I eventually pulled it, and Turquoise Morning Press released it in print and ebook. Move on to January 2016. With my rights back once more, I self-published Tangled Memories under my Saddle Horse Press name. Before releasing it, I gave the manuscript a polish, a thorough edit, and a new cover. The story is the same, but the writing is sharper, cleaner. I’ve grown as a writer, and I’m proud of the book. Thanks to technology, Tangled Memories is still available to readers twenty-three years after I first wrote it.